Even though Bobby Dickson is a former world class athlete, Olympic gymnast, and professional acrobat, he has always hated to exercise. That's why Bobby developed this incredible exercise and nutrition program to get himself into amazing shape,fast, anytime he feels the need. It also keeps him in great shape...all the time. For decades, he has helped many other entertainers and world class athletes to do the same. Now, for the first time, Bobby's powerful secrets to success are revealed and available to you in this remarkable book. 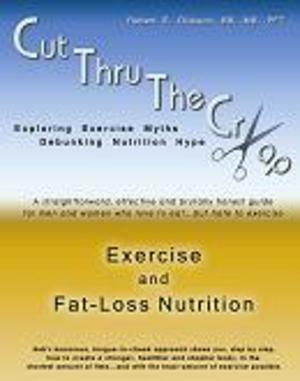 Bobby's book unites the sciences of exercise, nutrition, and health with a proven common sense approach built on his more than 40 years of practical experiences with personal training. Bob realizes that it is impossible to live a completely happy and fulfilling life without being truly fit and healthy. Therefore, he set out to make his knowledge available in a format that would put a healthy and fit life well within the reach of anyone willing to make the small commitment to follow his revolutionary program. Your exercise and nutrition goals should be to produce maximum results with the minimum amount of effort. Bob helps you achieve just that by debunking all the lies, myths, and misconceptions that make good marketing hype but just don't produce real results. After reading this book you will know the difference between good and better...and between better and best...when it comes to exercise, health-building nutrition, fat-loss nutrition, and genuine health. Bob teaches you exactly how you need to eat and exactly how you need to exercise so that you will understand not only what you are doing, but also why you are doing it. Even more importantly, he helps you to develop the understanding and attitudes you need for a life-long commitment to exercise and great health!